Negroni Week Aprons Are Here! We are very excited to announce our collaboration with Hedley & Bennett in celebration of Negroni Week 2018. Made from 10 oz. 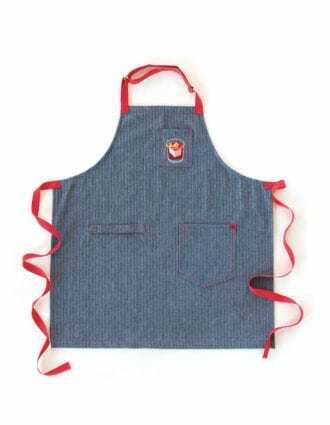 herringbone denim, this durable apron is perfect for the kitchen and bar and features a custom-embroidered Negroni on the top pocket. Through Negroni Week (June 4-10), 10% of each apron sale will be donated to No Kid Hungry, one of our official Negroni Week charity partners that works to end childhood hunger in the United States. Supplies are limited, so be sure to pre-order your apron today!